We are fast approaching the time of the year that high school students choose next year’s classes. A common question is whether to register for the more rigorous Advanced Placement (AP) courses. The successful completion of AP classes has benefits for both the college application process and college itself. The common mindset students often share is whether to pad their GPAs with easier classes or take a risk with an AP class. If your teachers agree that you are at the level of an AP course, we believe the answer is clear. Here are some reasons we believe challenging yourself is always the better choice. 1.A student’s academic record is the largest portion of the college application portfolio. Admissions departments are impressed by students who have taken the most challenging courses available to them. 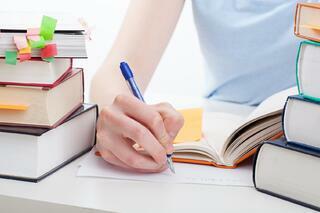 Success in difficult courses is the surest sign of a student’s preparedness for college. The most challenging courses are college-level Advanced Placement classes, thereby garnering the most respect. 2.AP classes require the type of high-level calculating and critical thinking that students encounter in the first year of college. Writing essays and solving problems successfully for an AP class better prepares students for the harsh transition to the more independent and critical academic environment of university. 3.By successful taking AP classes in high school, students make room in their Freshman schedule for more elective classes. By having more flexibility in course selection, students are able to more quickly target their major and use their time more effectively toward graduation. It also allows for enjoying more alternative exploratory classes, making the transition of the first year more interesting. 4.AP credits can make it more feasible to add a minor (or two) or even a second major to an undergraduate academic plan. With a standard work load and no AP credits, students may find it impossible to complete the requirements for two majors in four years. AP credits give students a head start toward a more diverse college experience. There are many factors to consider when making this decision. Not all students can take AP courses in all subjects. Often we find that our successful high school students can find certain courses that appeal to their strengths and interests. For example, certain scientifically minded students might succeed in an AP Biology course, but not benefit from AP U.S. History. It does not need to be all or nothing. Students should challenge themselves, but at the same time protect their academic record by being mindful of their strengths and judicious in their class choices.